Like his dearly beloved Game of Thrones character, Jon Snow's man perm hairstyle has resurrected the art of the male curl. About a year after the once omnipresent man bun was proclaimed D.O.A., the number of men getting perms has dramatically increased, because hipsters. Kit Harington's GOT alter ego is responsible for the resurgence of luxuriously curly locks this year. "The Jon Snow look has a looser, scruffier, undone edge to it," grooming expert Laura Bolt told Mashable. "Like, he's too busy defending the wall to think about how his hair looks and at the end of the day. The IDGAF attitude is hot." There's something about the low maintenance and ease of this hairstyle that adds to the style's appeal, but in reality, the upkeep of having a perm is anything but. It's a good thing that there are lots of man perm tutorials on YouTube to help one know all about this tousled hairstyle trend and how to properly maintain it. The man perm — or "merms" — has been around for a long time, whether it's the popularity of the Jheri Curl among African American men in the '70s and '80s, all the way to the "ramen noodle" curls of Justin Timberlake during his 'N SYNC days. Now Millenials have Jon Snow to thank for inspiring them to perm their hair. 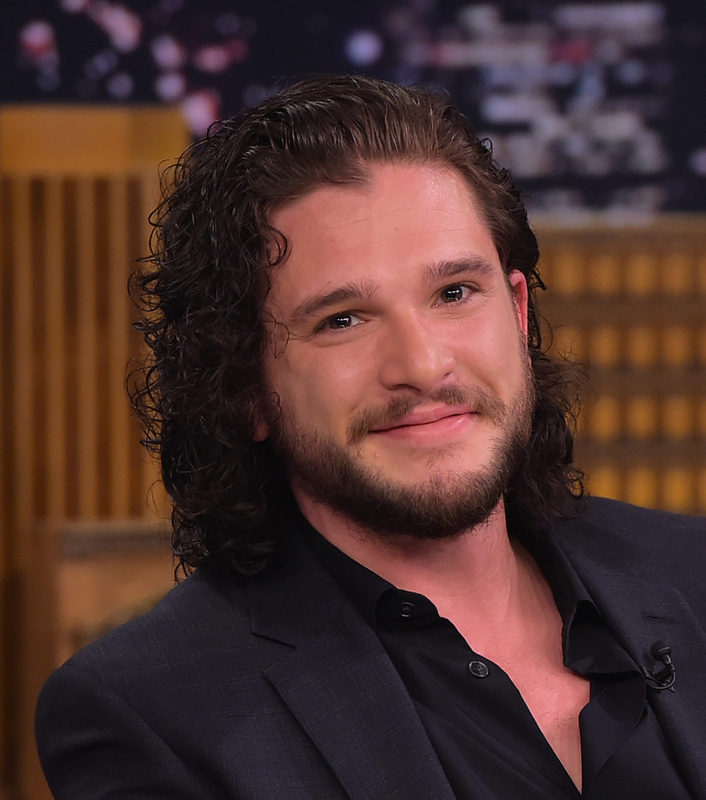 Here are some more guys who are rocking the Jon Snow hairstyle — and proud of it. Even models like Cole Monahan are sporting the Jon Snow look on-and-off the runway. Wake up, America. The man perm is coming.